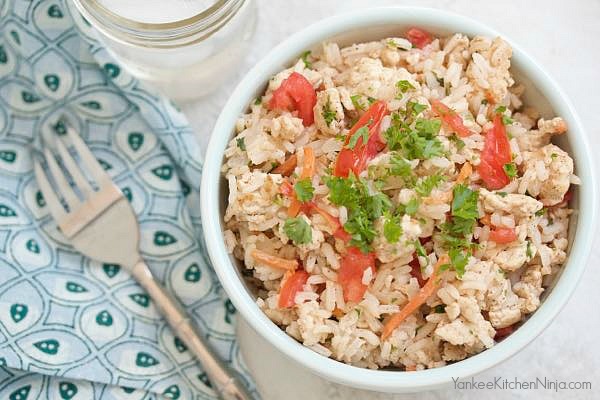 Master weeknight dinner with one pot turkey pilaf: only 30 minutes to a healthy delicious dinner with minimal clean up plus leftovers. 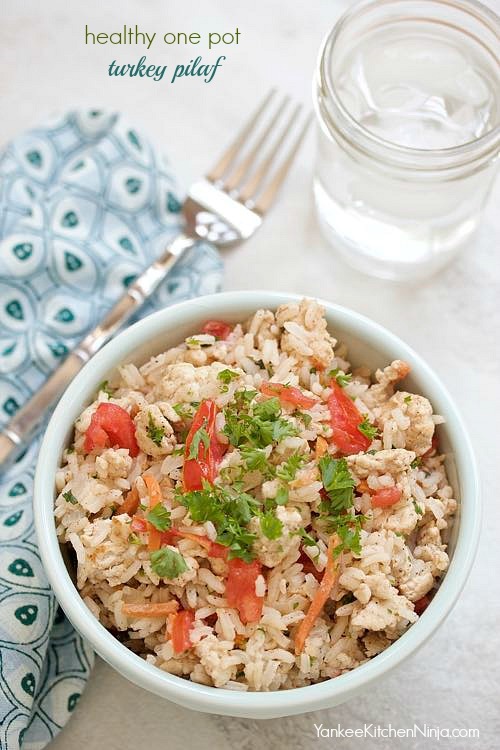 Another busy week means another entry for my list of healthy and easy weeknight meals that anyone can make -- one-pot turkey pilaf. Lazy me is a big fan of easy, one-pot dishes, as evidenced by some of my favorite recipes, including one-pot tomato basil pasta and healthy one-pot Asian pasta. I mean, seriously, what's not to love? In less than half an hour, from start to finish, you can have a healthy, delicious dinner on the table. With leftovers for lunch the next day, too. 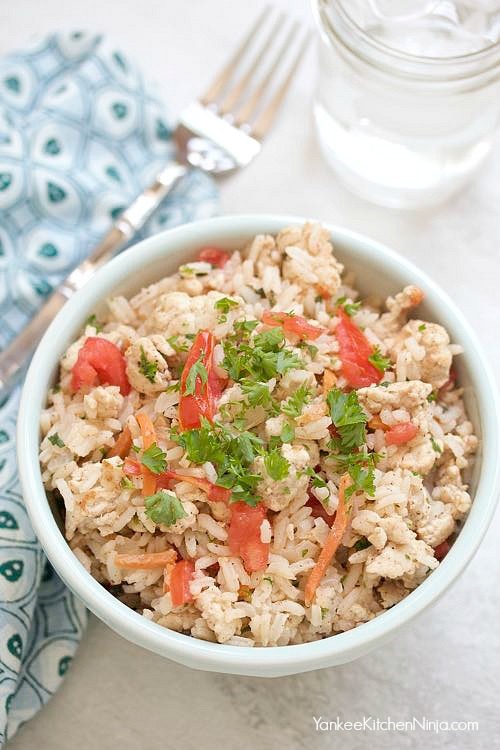 While I opt for lean ground turkey when I make this pilaf, you could also substitute ground chicken, if you prefer. It won't change the slightly Mediterranean flavor you get from the cinnamon, parsley and fresh lemon juice. Also, I used white rice (because it was what I had in the cupboard) but am planning to make it with brown rice as well to increase the healthy factor a bit more. And you could certainly throw in additional crunchy veg -- peppers, celery, kohlrabi -- or top it with a little diced radish for some extra zing. Do you have a go-to one-pot meal recipes for busy weeknights? Leave a comment: The Ninj wants to know. Heat the oil in a large skillet over medium-high heat. Add the onion, carrot, garlic and turkey (or chicken) and cook about 5 minutes, stirring often and breaking up clumps with a spoon. Stir in the rice and cinnamon and saute for another couple of minutes, then add the stock. Bring the mixture to a boil, cover, lower the heat and simmer about 20 minutes or until the liquid is absorbed. Remove from heat and stir in the tomato, parsley and lemon juice and season to taste with salt.